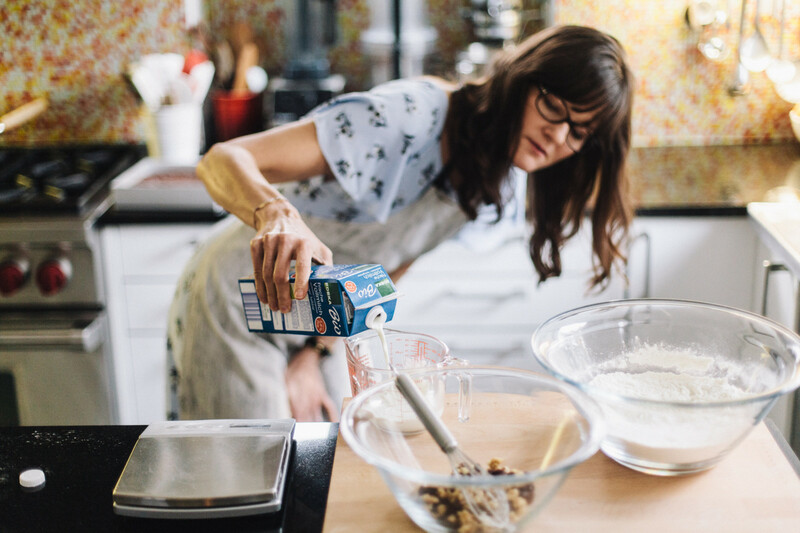 (EN) The American baker and author Cynthia Barcomi is more than a television personality in party dresses and pumps. The entrepreneur and Berlin resident has an iron discipline and 20 years of hard work behind her. 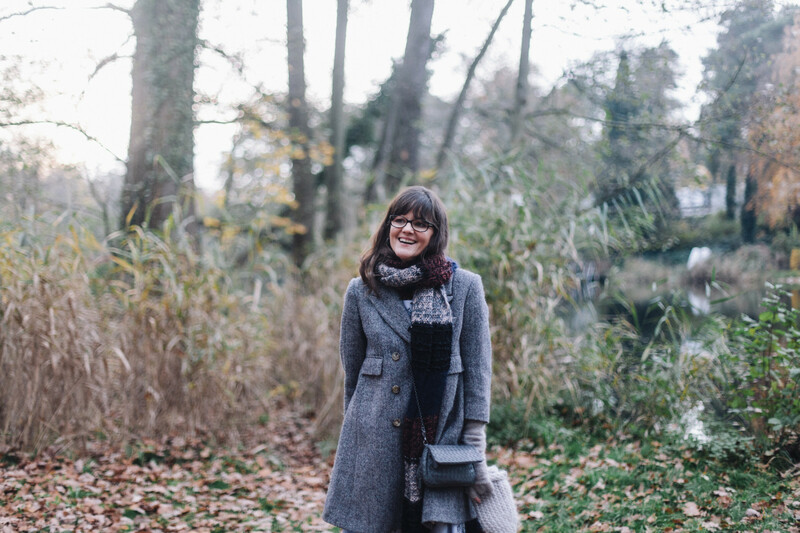 (EN) As she explains in our interview, having a good idea just isn’t enough. 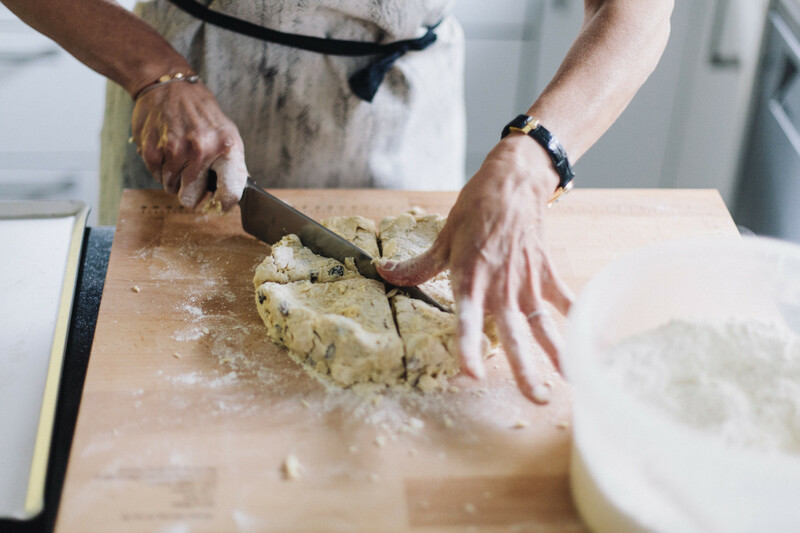 With a successful café, a deli and regular appearances baking live on German television, she’s made her mark on the German food scene. 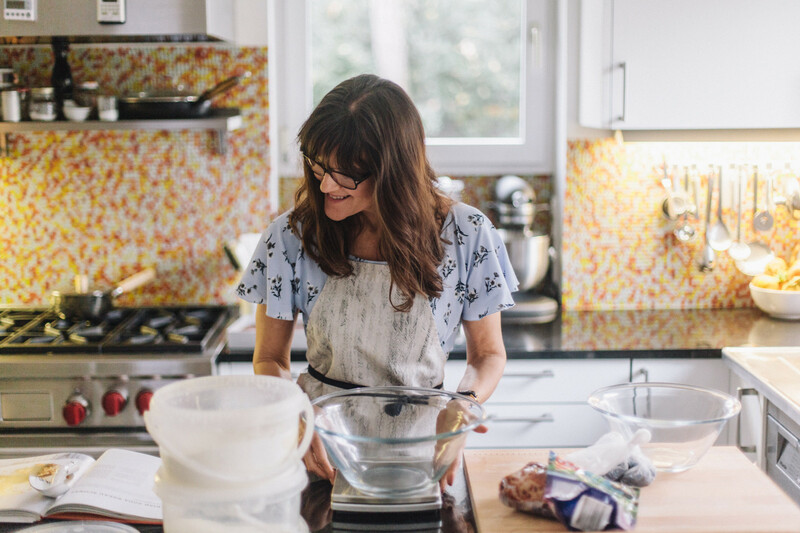 Did we mention that she has four children and five published baking books? (EN) “Home” is a Bauhaus inspired residence in Berlin’s leafy Zehlendorf district, a few hundred meters from where the Wall once stood. We don’t enter through the front door. She ushers us straight in through the kitchen. Of course. The minimal interior is accented with an eclectic mix of modern art and mid-century furniture. The kitchen is anything but mid-century. We counted five ovens, fresh scones baking in one of them. Yes, a lot of work happens here in the kitchen. We settled into this cozy atmosphere to talk. (EN) I can see that a large kitchen is important to you, but why is there a desk in here? (EN) Baking is also an intellectual process. A new recipe often begins at my desk. First I create a theoretical framework of ingredients for the recipe on my computer. Then the practical aspect of baking begins. I work very precisely and take copious notes. My goal is to connect the theoretical and the practical. A pastry has to be exactly as I imaged it to be. It’s like a game. Only when every last thing is right can I move on to my next recipe. (EN) I watched your cooking shows and immediately thought of the American chef Julia Child, who significantly influenced the food culture of the sixties. (EN) (laughs) Julia Child was a very clever and incredibly competent woman. (EN) And very successful. 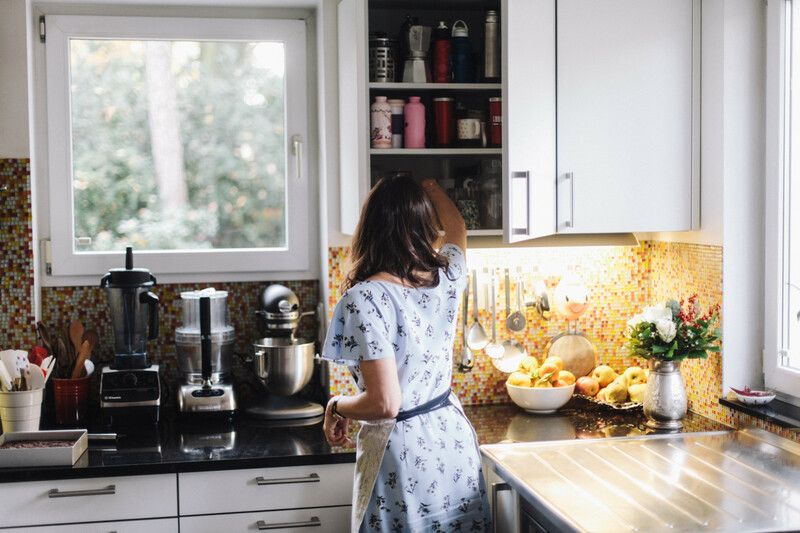 Is this image of the self-confident woman in the kitchen a recipe for success or a cliché that you also have to contend with? 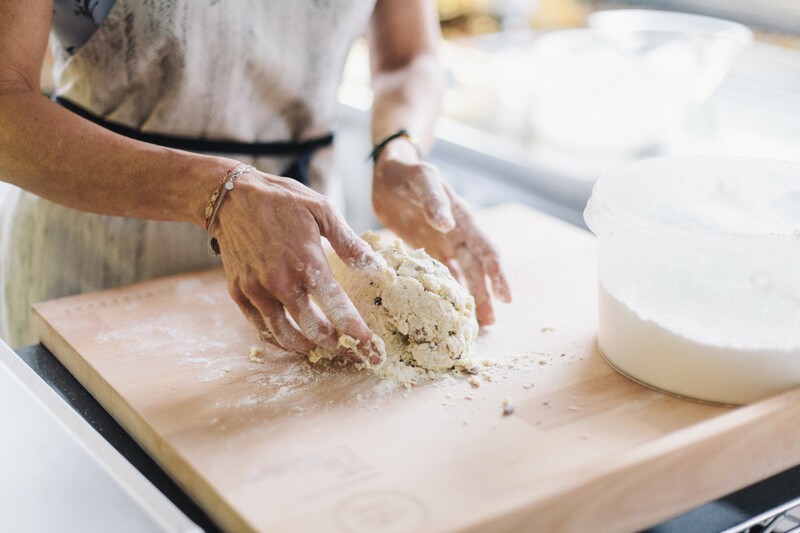 (EN) The cliché of the sweet, female baker exists. But I’ll accept it, work with it and still remain true to myself. It’s important to find a balance. I want to bring as much as possible to my audience, but not compromise in the process. I have 50 employees – this is about more than my existence. Anyone who works for a longer period in this business goes through hard times. I’ve stumbled, gotten back up and dusted myself off. (EN) You studied philosophy and theater in America. What have you taken with you from this period? (EN) I never worked in the restaurant business in America or New York. I spent all my time in theaters and museums. (laughs) But I always had discipline. From my dance and theater experiences, I knew it’s not enough to have a good idea. You have to implement it. Before every decision I ask myself: “Which details are important for the story?” I have to get rid of everything superfluous. It’s like too much cream! (EN) Apropos, too much cream: Americans aren’t exactly known for their food culture. (EN) Yes, it’s often too colorful and too sweet. But it’s not true that we don’t have a food culture – or even no culture at all. I was just in New York where the cuisine is very diverse. In America you find the worst of the worst, but also the best of the best. On the one hand is awful fast food, on the other traditional American cuisine, deeply influenced by quality ingredients and loving preparation. Apple pie comes to mind. In regard to outstanding American cuisine, I can’t name my favorite dish. It’s like asking me which of my four children I love the most. They’re all very different and I love them all very much. (EN) At the moment healthy food is really sought-after. Everything has to be vegan, gluten or lactose free. Is it annoying? (EN) Just yesterday I developed a great gluten free recipe. But for me all that is secondary. The main thing is that it tastes. I happen to like eggs and butter. Reduced calorie or diet baked goods are absurd. It’s an oxymoron, it just doesn’t work. Just enjoy a smaller piece. (EN) In Berlin there’s really good food almost everywhere. (EN) Finally. Twenty years ago it was really different. Twenty years ago you could barely call it a food scene! In the last few years Berliners have developed a strong awareness and ambition for food culture and have come to understand its potential. Maybe it’s because these days more people dare to go into business for themselves. Job-wise anything can happen today. I was a dancer for a long time. At one point, I wanted to do something new. I applied and the registrar behind the counter chortled, “Gastronomy is man’s work!” I was shocked. In the past, job choice and careers weren’t available to everyone. I had to make it happen. (EN) Your career is a good example of the American Dream. (EN) Perhaps a new variation on the American Dream – in the end I left America to realize my dream in Europe. Integration into German culture wasn’t easy. I had to learn the language or forever be an outsider. (EN) It’s hard to imagine, today Berlin is incredibly international and everyone speaks English everywhere. (EN) When I came in my early 20s, the Wall was still standing! Most Americans in Berlin were in the military. As a dancer, I wanted nothing to do with it. In the beginning it was terrible. It was only when I began training and got to know other dancers that I slowly gained a foothold. 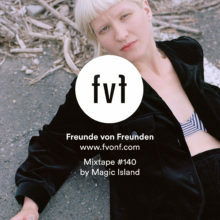 (EN) It’s sometimes said that Berliners are rude and emotionally closed. In America, on the other hand, I found the people to be warm, almost exuberant. (EN) There are always new kinds of cakes in your windows, but the classics aren’t missing either. Is it possible to reinvent the muffin, brownie or chocolate chip cookie? (EN) The classics don’t have to be reinvented. The art is simply to reduce the classics to what makes them so delicious. The key to my New York Cheesecake, for example, is simplicity. It’s still the only recipe that I’ve never published. (EN) These are delicious beyond belief. I first ate them at a restaurant in New York. I was 16 years old and “on-leave” from boarding school with two friends: foot-loose and fancy-free in NYC going to Fiourucci’s and eating scones at Serendipities. I didn’t know life could be so good! Preheat oven to 190°C. 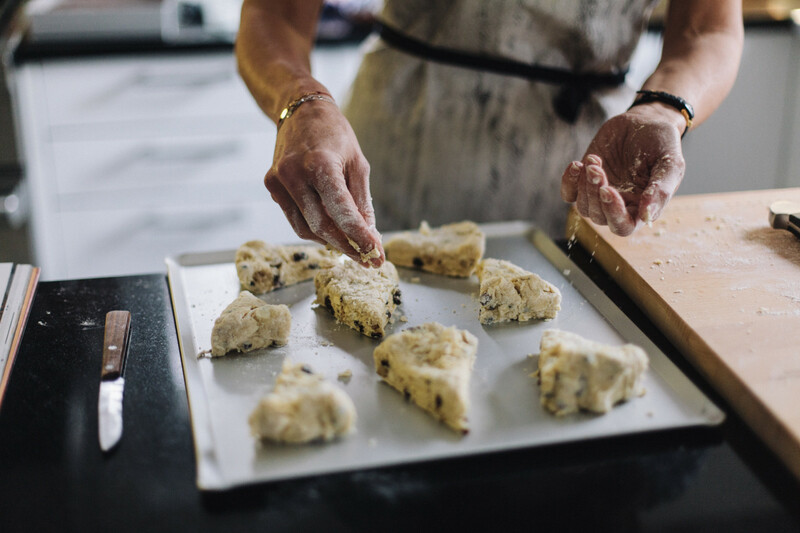 Line your baking sheet with parchment, set aside. 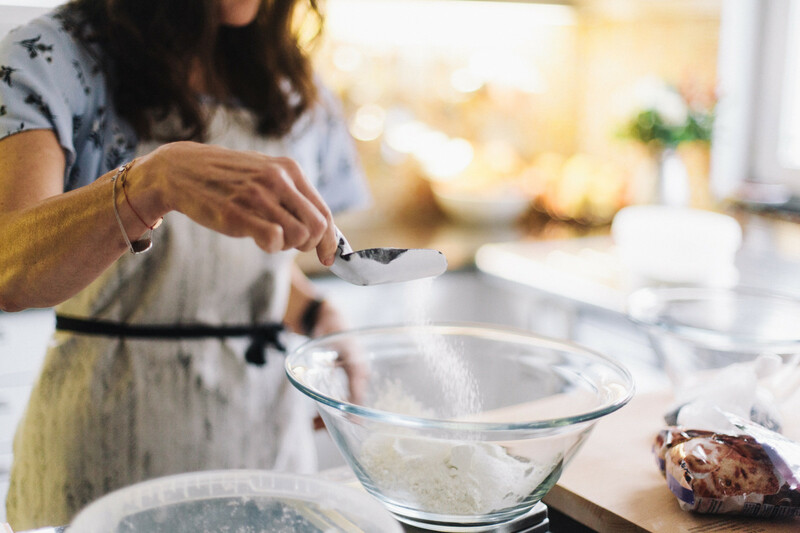 Mix flour, sugar, baking powder, baking soda, caraway seeds and salt together in a big mixing bowl. Cut cold butter into small chunks and add to flour mixture. 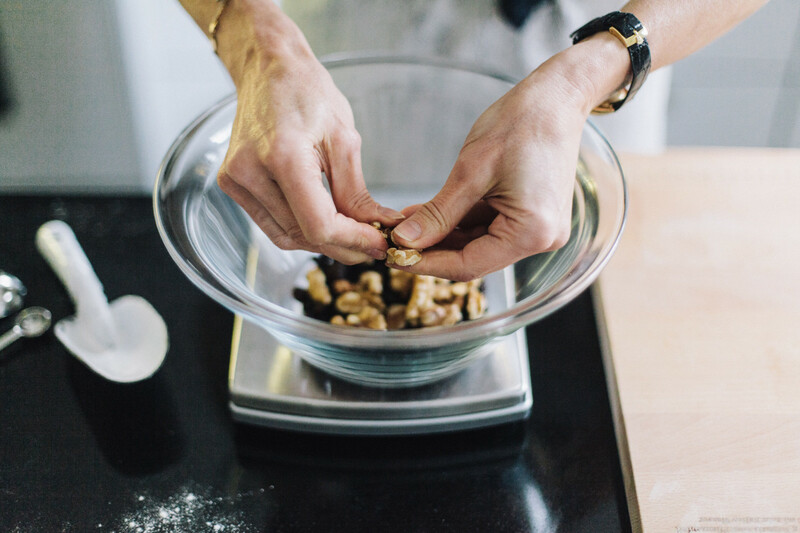 Work the butter into the flour mixture with your finger tips until the mixture resembles coarse crumbs. 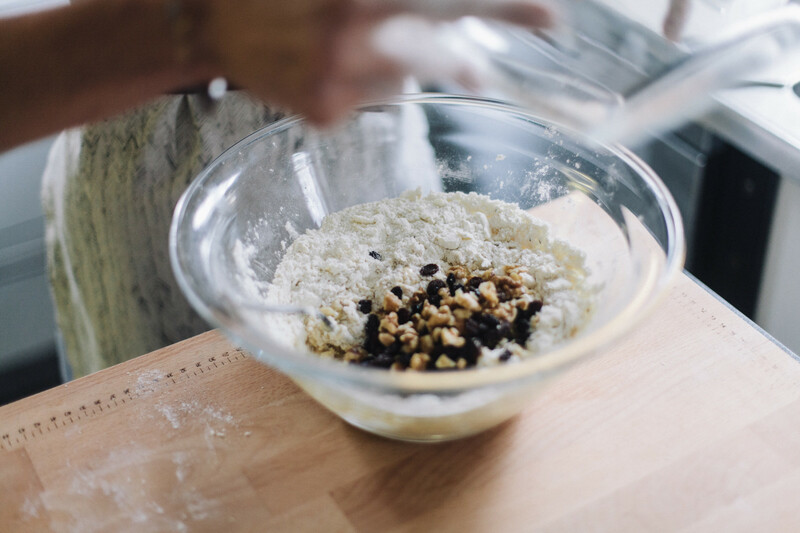 Beat together the buttermilk and the egg and add to the flour/butter mixture and stir just to combine, then add currants, raisins and nuts. Dump the entire mixture onto your work surface and work the dough into a 20cm diameter circle approx. 2 cm thick. Cut it in half from top to bottom, in half from side to side, then cut each half again giving you 8 pieces. Bake them at 190°C. for about 22 minutes until golden. Cool the scones for 10 minutes on a rack before enjoying! (EN) New York Cheesecake is my favorite. (EN) Yes. Why is it called New York Cheesecake? (EN) I think it’s because Junior’s Cheesecake from Brooklyn is the most well-known. It’s the one that made cheesecake world famous. There are many different recipes for a good cheesecake, but the most important ingredient is always the cream cheese. Once, someone asked me: What can I use instead of cream cheese? I answered: Nothing. You’d be better off finding another cake to bake. Also, a cheesecake is a cheesecake because it’s prepared with cream cheese and not with quark. If you exchange or take away the essential ingredient, then it’s not cheesecake anymore. (EN) Are there certain countries, cafés or cakes you want to try? (EN) When I’m traveling, I’m less focused than one might think. I like to experience smells, sounds or tastes spontaneously. My life in Berlin is structured enough. (EN) Since your oldest daughter, Esmé, has entered into your business, you’ve also begun to offer catering to all kinds of customers. What’s been the most interesting job? (EN) The most remarkable commission was a cake for the Oberhafen Kantine. The restaurant was celebrating an anniversary and wanted a cake version of their building. We had to deliver this complicated cake with many different layers. But in Berlin the traffic was chaos because some Chinese head of state was in town! And it was the middle of summer with a temperature of 35 degrees! In the hot car the cake simply melted, like a Dali painting. We were in despair because the cake was incredibly expensive. But the customers were artists themselves – they thought it was terrific. (EN) After the interview we walked with Cynthia and her daughter to the Haus am Waldsee, one of Berlin’s leading exhibition spaces for contemporary art. Here an idyllic ambience meets modern art. For that reason alone, it’s the ideal place for Cynthia to pursue her passion for art, far away from the hectic city. (EN) Happy 20th anniversary! Thank you Cynthia, for your time, the insight into your life and, last but not least, for the delicious scones! This portrait is part of our ongoing series with Vitra. Visit Vitra Magazine to find out more about Cynthia’s design pieces and the way she chooses to present them. Stay tuned as we’ll be soon preparing some delicious Linzer Torte with Cynthia in a new FvF Cooks episode.